When putting crossed braces on a structure to keep it from racking (as used when making a trestle), the most important lashing is the diagonal lashing, which gets its name from the fact that the wrapping turns cross the poles diagonally. A diagonal lashing is used when there is a need to close a gap between two poles where they cross each other but do not touch. 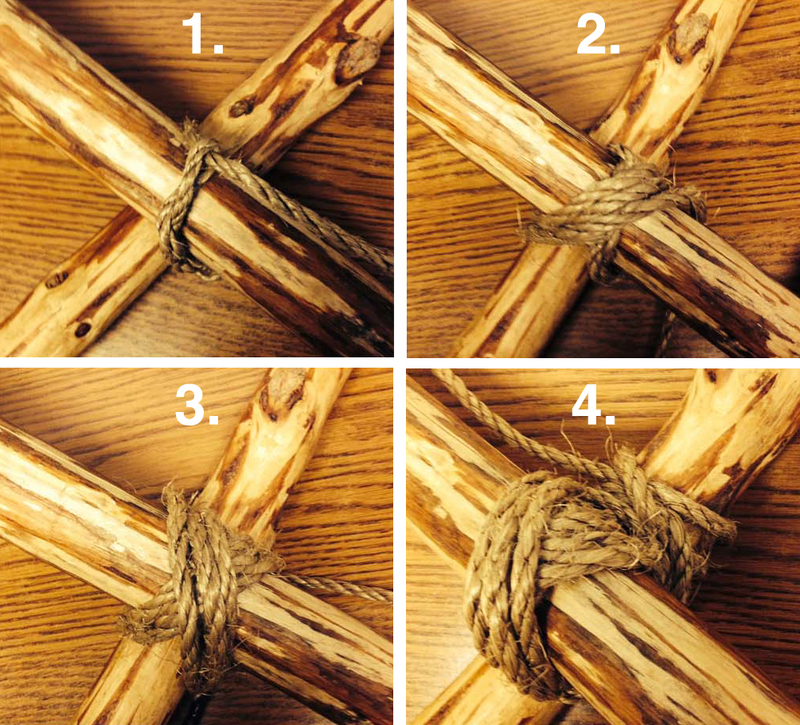 Cinch the poles together by tying a timber hitch around them where they cross. 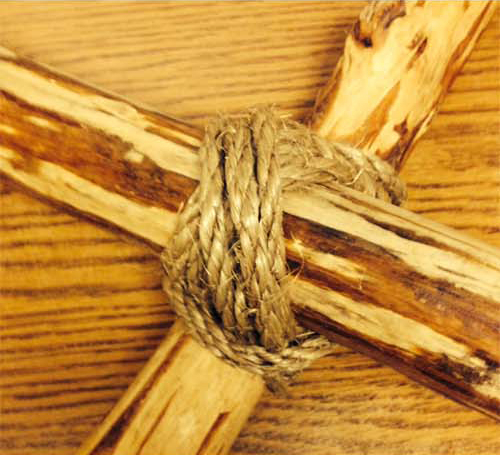 Make three to four wrapping turns on the opposite diagonal to the timber hitch. Keep the wraps parallel to one another and pull them tight. Make three more tight wraps across the first three, again keeping them parallel. Take two to three frapping turns between the poles, tightly around both sets of wraps and complete the lashing with a clove hitch around one of the poles. Previous PostThe Den ChiefNext PostScouting is Both!